The non-demoninational sketch comedy show begins at 9:30 p.m. on Saturday. ANDERSONVILLE— The holidays can be a lot less magical as a grown up. That's why the folks at pH Comedy Theater have distilled the sentiments of the disenchanted adult celebrating Christmas into an hour-long performance, "Manger Danger: A Non-Denominational, Totally P.C. Holiday Sketch Show." 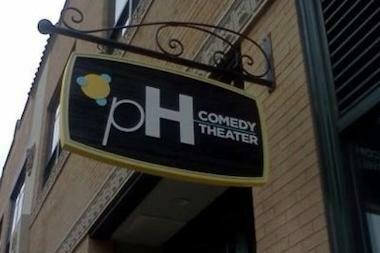 The show begins at 9:30 p.m. at the pH Comedy Theater at 1515 W. Berwyn Ave. in Andersonville. The show runs every Saturday through Jan. 10. Tickets are $15 for adults and $10 for students and can be purchased here.